Gas prices for the last four months are ridiculous! Here in Orlando, gas prices on the average at that time was about $3.17 and it goes up as high as $3.98. But, did you know that it's only in Orlando where you can find gas stations that sells the highest gas price in the United States? That is ridiculous right? Florida residents know that they are selling high gas prices so, no one goes there! But, tourists are the ones they victimized! Their prices are: REGULAR $5.79 , PLUS $5.89 and the PREMIUMS $5.99. Would you pay? BE AWARE tourists! 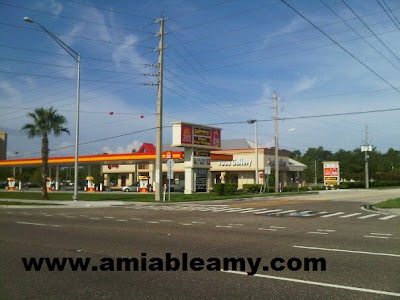 There are two gas stations that sells the highest gas prices and they are located near Orlando International Airport. If you want to visit Disney World, before you return your rental car, make sure you don't gas up here. Drive two blocks away from this place and you will find other gas stations that doesn't rip you up!